Carol and Siblings Gain a New Family! For the first time in their lives, Carol and all four of her siblings are together! 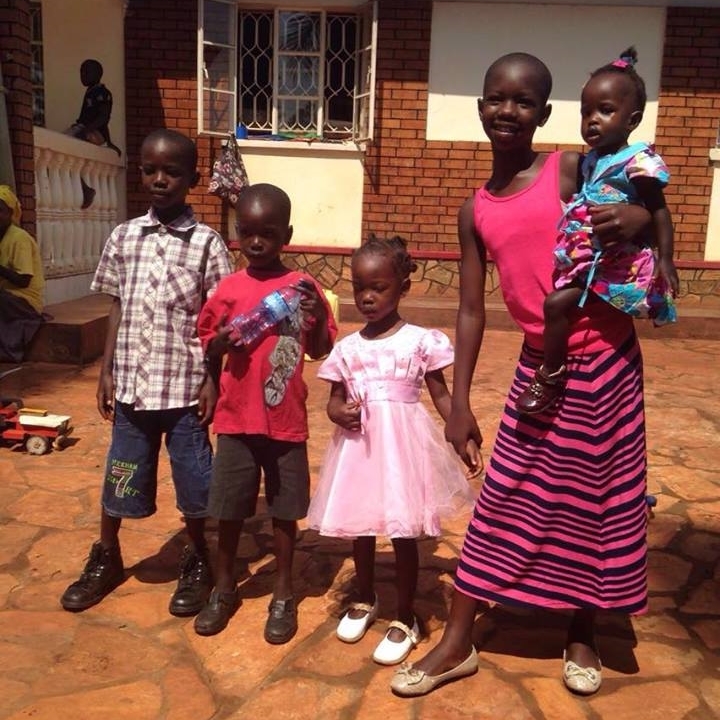 They are being fostered by the Sweazy family and leave today to start a new life in Kampala. Baby Sindy and Katie are from the Sonrise Baby's Home. Carol is from the Mirembe Cottage and Angle and Innocent are from a village. The Sweazy's will be their foster parents with the plan to adopt in about 3 years.